First off. Let me remind you all, I’m all about the drugstore life. ALL ABOUT IT. But I do own some high end, but they pretty much live in my kit. 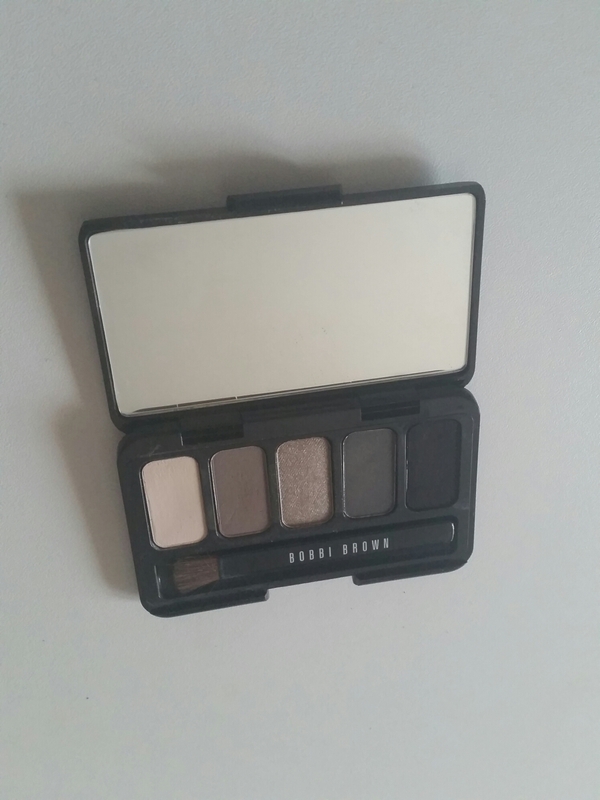 Today I reached for an oldie but a goodie, my Bobbi Brown day to night shadow palette. Sadly you can’t find this on the website anymore, but there are places online you can get this. 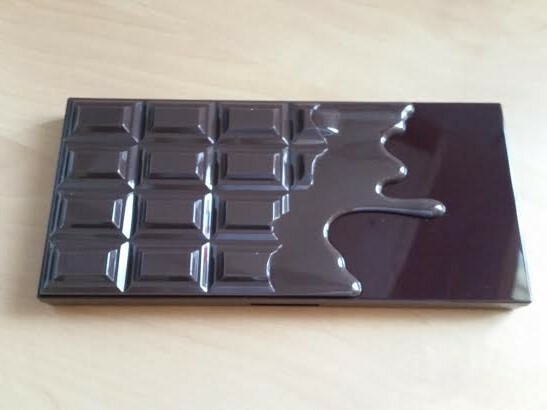 Now this palette is pretty small. Fits in the palm of my hand in fact. So its IDEAL for travelling. The packaging is a sleek compact, inside you will find your 5 shadows, a mirror and a little blending brush. I have tried the brush and as far as the brushes that come with palettes go (usually a foam applicator I find) it’s quite nice. The colours included in this palette are PERFECT for exactly what the palette is called… day to night! 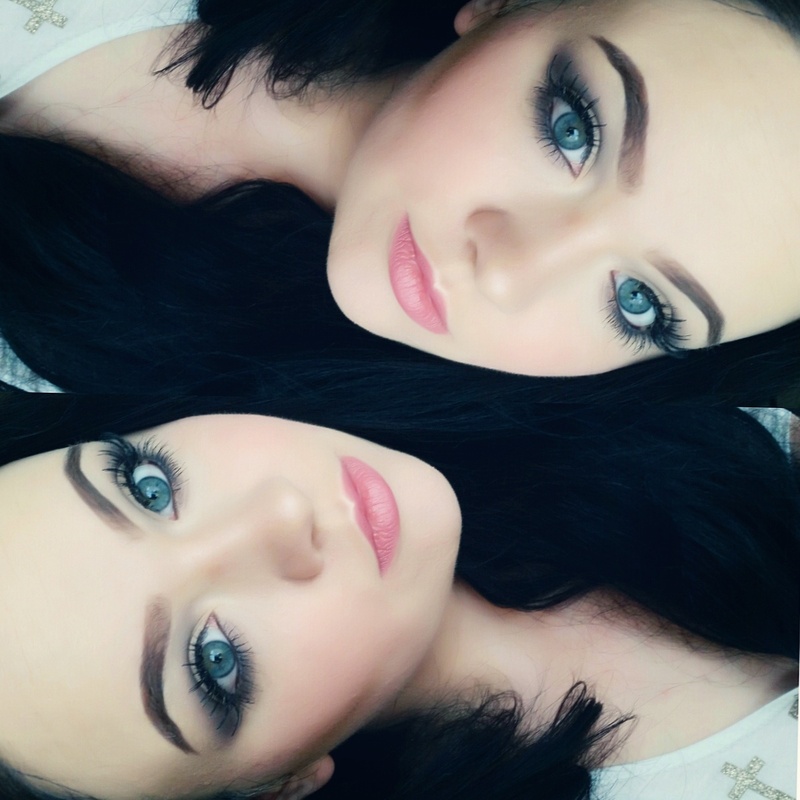 You can achieve a neutral eye, or a dramatic shimmery smokey eye. The lightest shade would probably be a lot more visible on most people so please bare in mind I’m a ghost! All in all its a nice palette. It’s very travel friendly and if a neutral look is something you like than this is a great palette for you. 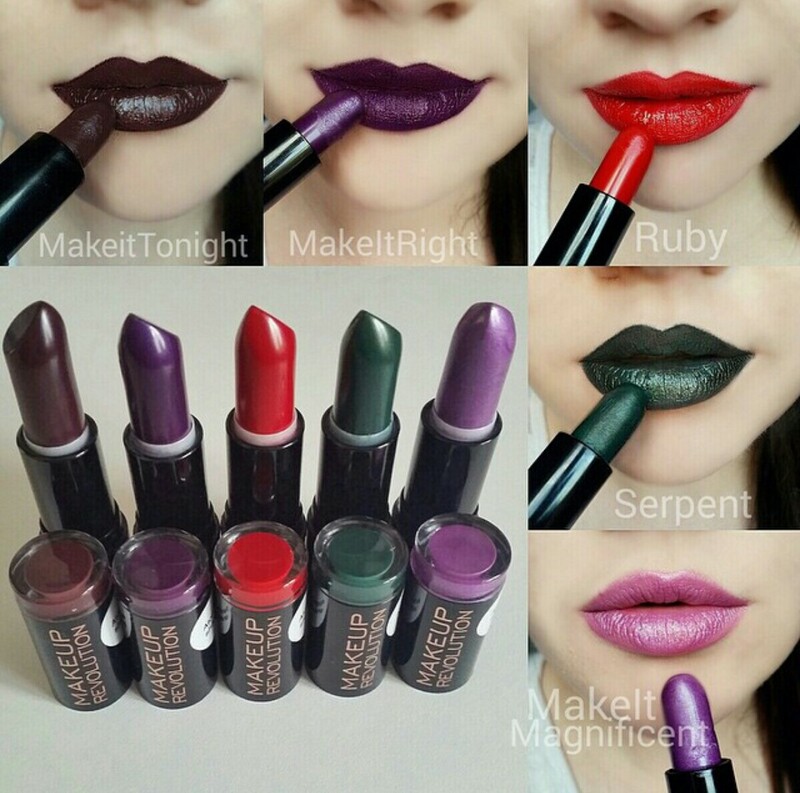 The shadows are pigmented without fall out and easily blend able and long lasting. 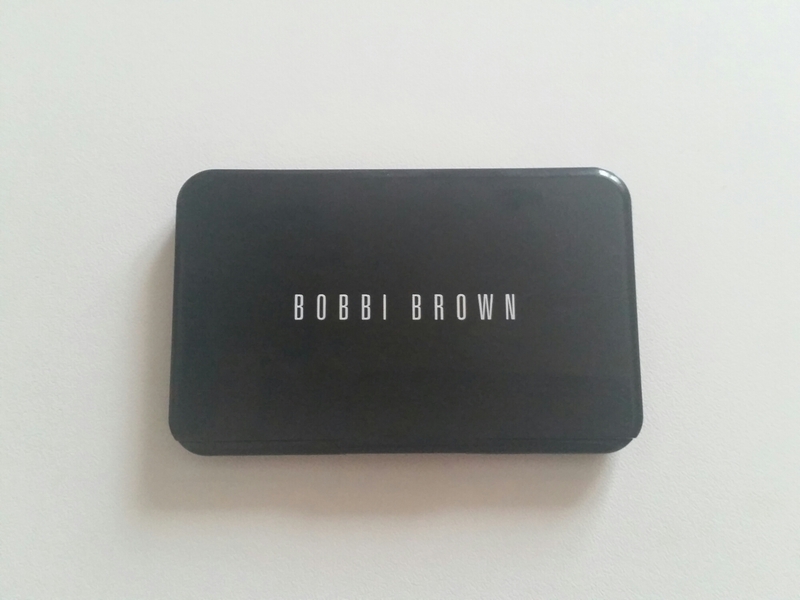 Bobbi Brown Day to night eye palette worn in photo. 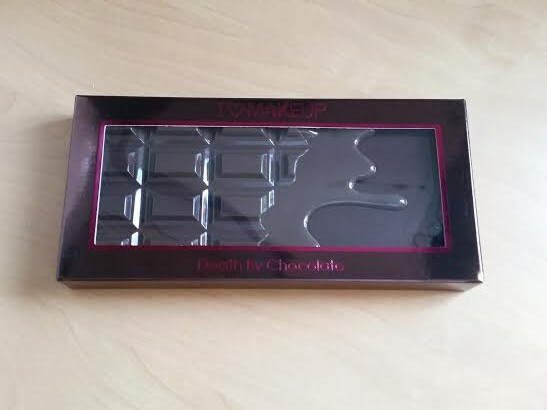 Make up Revolution – I ♡ Makeup “Death By Chocolate” REVIEW! I’ve been very excited to try this palette, it got released the day after I’d put in an order for some other MUR goodies, and as I didn’t want to have to pay the shipping for this palette alone, I decided to wait until my next order. 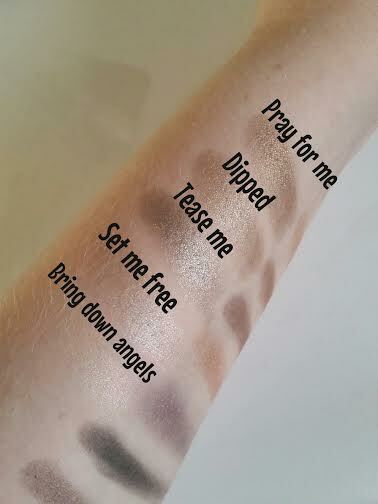 So its finally here, I’ve photographed it, swatched it, worn it, so now here’s the review! 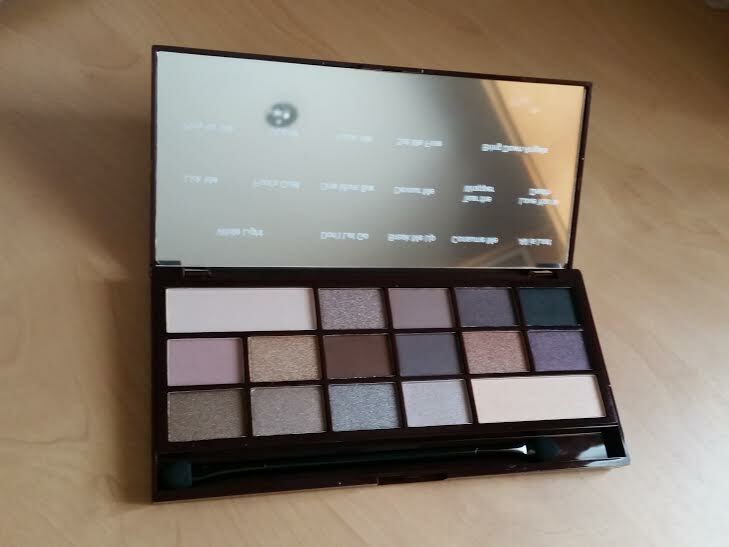 The palette comes in a cardboard sleeve, with a viewing window where you can see the palette. On the back of the box there is a display of the colours found inside the palette. So I’m sure as you can see for yourself, that this palette was probably inspired by the ‘Chocolate Bar’ eyeshadow palette by Too Faced. It’s very similar in size, and the layout of the eyeshadows is somewhat similar too, with both palettes having 16 colours in total, and both having bigger sized highlight shades. 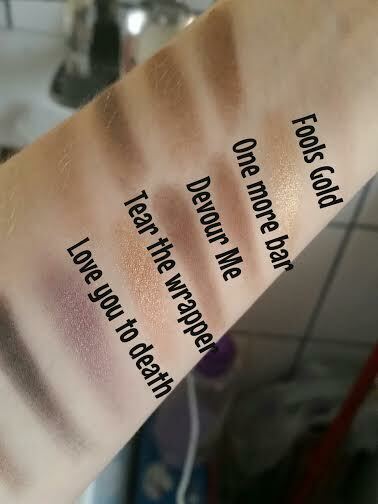 The shadows don’t smell of chocolate like the Too Faced one does, but I can live with that! Inside the palette you will find a clear slip with the names on the shadows. 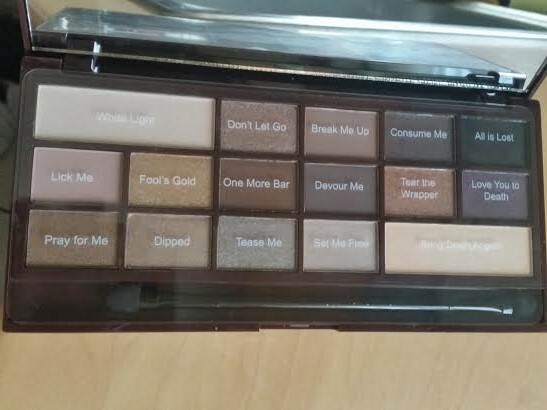 I really like this, as it’s a nice touch, and allows you to easily learn the names of your favourite shades 😉 There is a mirror on the inside, and as I said before, the highlight shades are bigger than the rest of the eyeshadows. 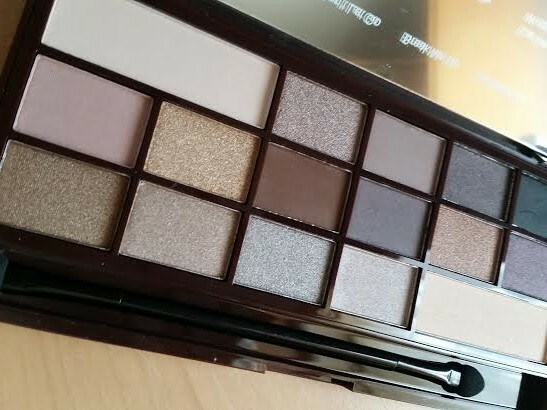 This palette is perfect for day to day wear, as it has your base colour/highlight, matte transition shades, a variety of beautiful lid colours and dark mattes for the perfect smokey eye. I’ll definitely be taking this with me when I go away this weekend, as it has everything I need! 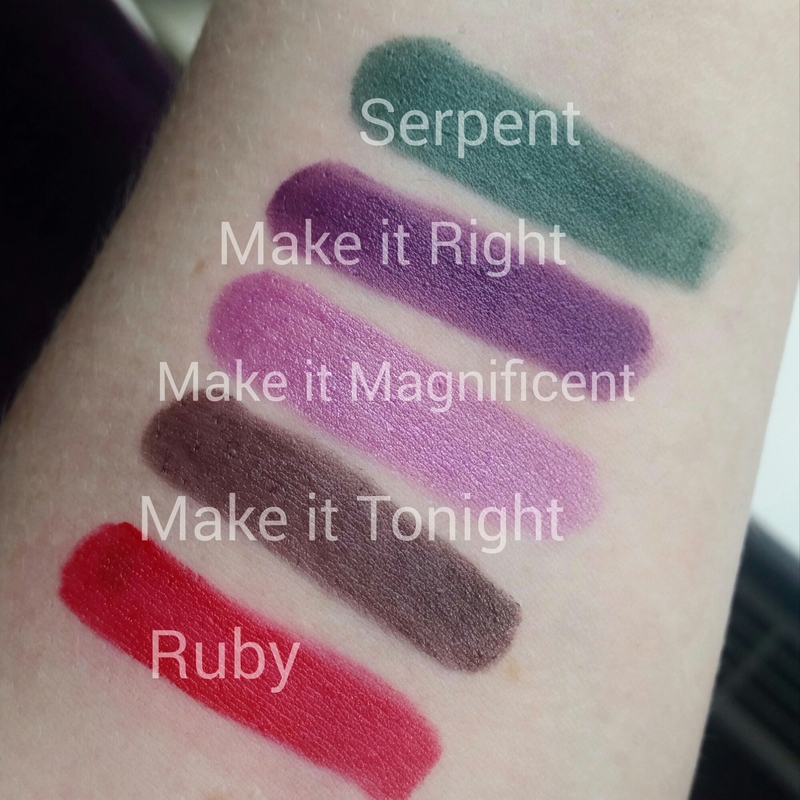 Swatches: Natural light, Samsung s5 phone camera. No primer. I’m already in love with this palette and can see myself using alot for daily neutral looks, possibly even more dramatic stuff using the darker shades. 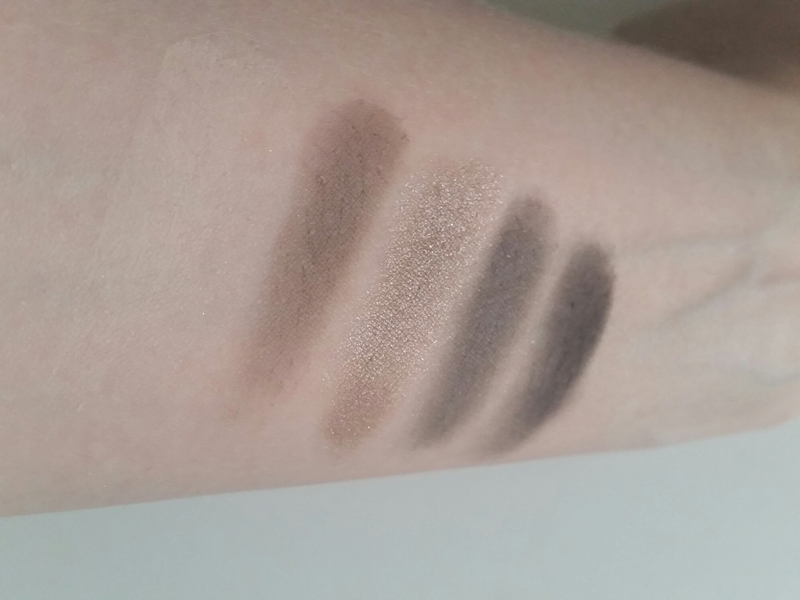 A couple of the matte shades needed a couple of swipes before there was anything to swatch, but I have found that to be a very universal problem with affordable eyeshadow palettes, and have learned to use a heavier hand. Once you swipe it a couple of times, it’s absolutely fine. 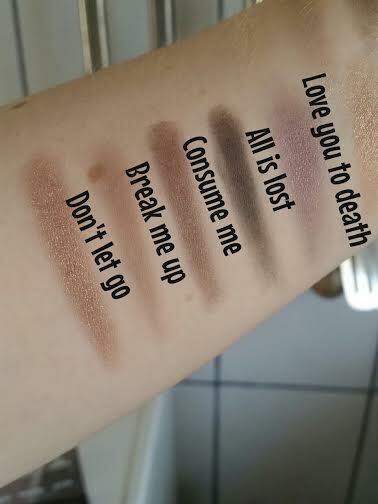 The consistency of the eyeshadows are quite creamy, they’re soft and very blend-able. You can blend out the intensity of the shimmer shades quite easily, so to avoid that, pat on the shimmer shadows rather than swiping. 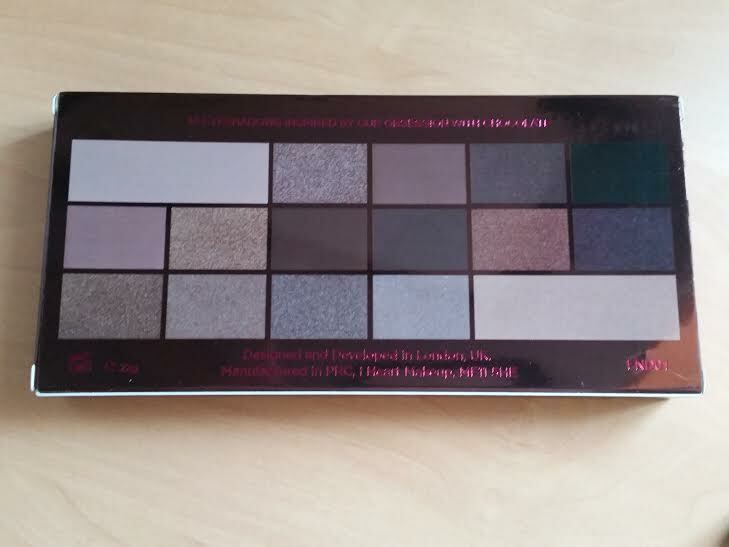 I think this is a beautiful palette, especially for £8. 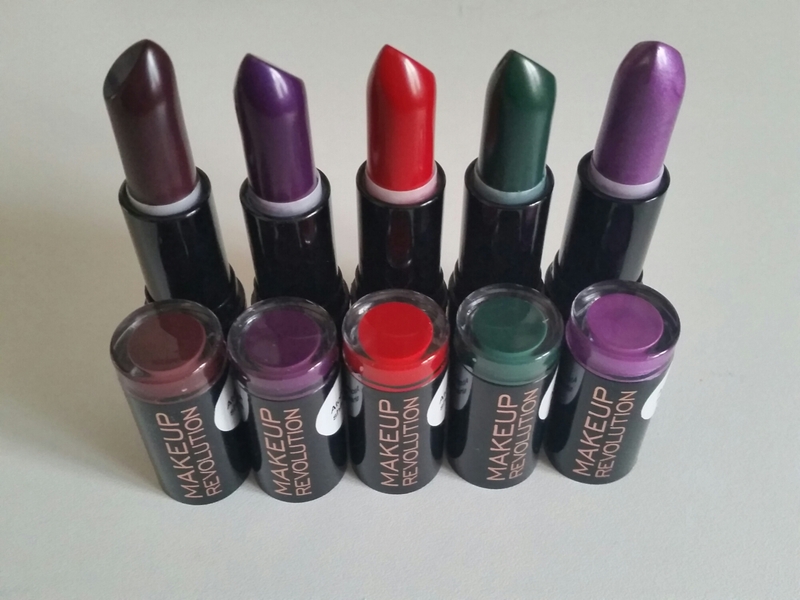 The packaging is perfect, it’s good for travelling, and the eyeshadows stay put all day. 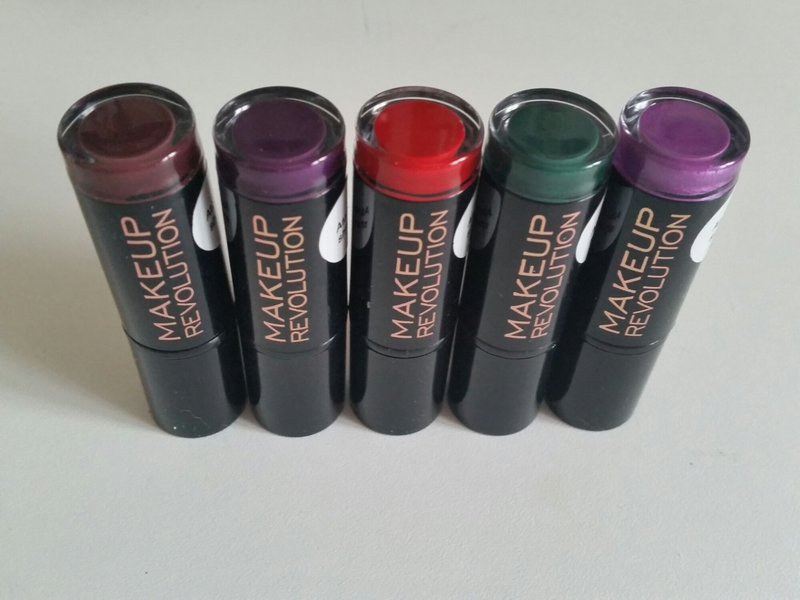 Yet another amazing product by the amazing Make up Revolution.